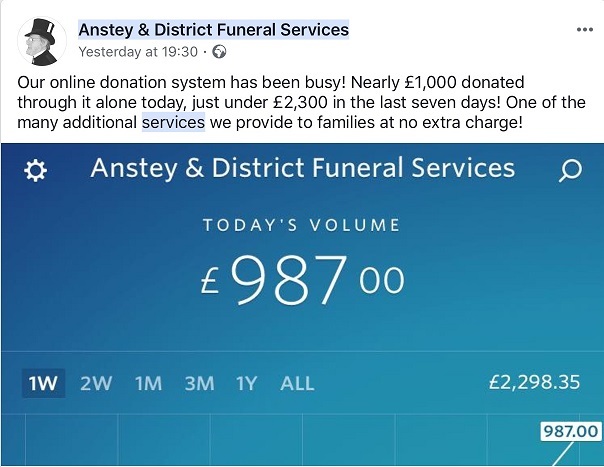 Leicestershire based Anstey Funeral Services shared a record day for donations with their customers via their Facebook page on Monday. They started using the InMemory system just last August and have been building their online donations ever since. In the last seven days they have seen almost three weeks worth of donations online. Great idea to spread the word Arran and team!